This relaxing holiday gives you the chance to unwind and soak up the sun whilst discovering the best of Andalucía. The 4-star Hotel Antequera Golf is ideally located in walking distance of the centre of Antequera. <br><br> Hotel facilities include a restuarant, bar, lounge and a swimming pool. Bedrooms have private facilities, mini-bar, hairdryer, safe, air-conditioning and a TV. Pre-bookable excursions: The above optional excursions can be pre-booked as a package from just £99 per person. Depart on your flight to Malaga today. On arrival, we'll transfer you to your hotel in Antequera and you'll have time to relax and unwind before dinner this evening. If you want to experience authentic Andalucia, here itis in medieval Antequera, whose landscape is punctuated by the towers ofMoorish fortresses and Gothic churches. To really get under its skin, why notjoin our optional guided tour. Highlights include the Roman Baths, the 16thcentury Arch of the Giants and the wonderful scenery of El Torcal NationalPark. You'll also discover the Dolmens, megalithic mass tombs dating back 4,500years. 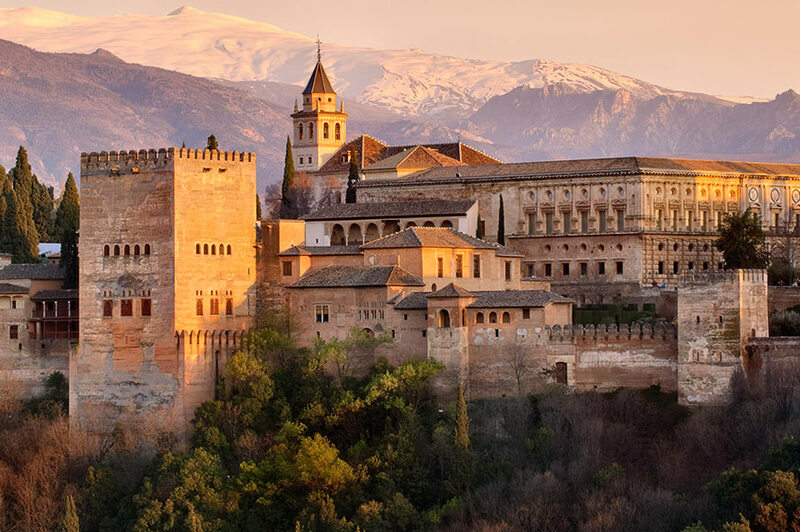 You really can't visit this region of Spain without atrip to the stunning Alhambra Palace, and that’s where we’re heading today.Standing high on a hill overlooking Granada, this magnificent complex was builtby the Moors in the 13th and 14th centuries and added toover time. Your tour not only includes the grand halls, courtyards andfountains of the palace, but also the lovely Generalife Gardens. Later, we'llexplore Granada, where you'll see a mix of Moorish and Spanish architectureamongst its narrow, winding lanes. We're heading to Seville today. This is Andalucia's regional capital, and if you're an opera fan you'll know it as the atmospheric setting for Bizet's Carmen and Mozart's The Marriage of Figaro. 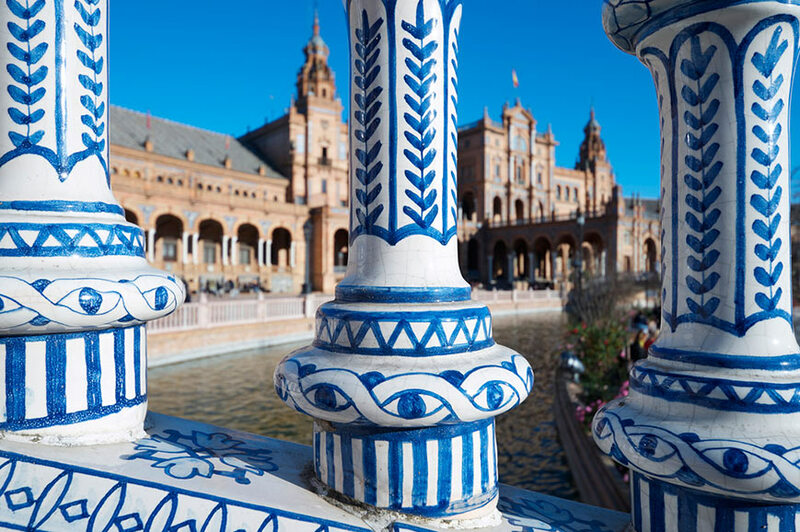 On your tour, highlights include the Plaza de España which displays a beautifully tiled alcove for each of Spain's provinces, and the Gothic cathedral. Admire the Alcazar, the royal palace built on the site of a Moorish fort, and wander through the Barrio Santa Cruz area. Tapas bars are plentiful in this maze of lanes, so maybe stop off to try a dish or two – Seville is credited with its invention after all. Time at leisure may be just what you need today, so why not relax by the pool at your hotel. However, if you're keen to discover more of Andalucia, your Tour Manager will be hosting an optional excursion to the cliff-top town of Ronda. You'll see the 600ft deep gorge, El Tajo, which divides it in two and is spanned by an ancient stone bridge, the Puente Nuevo. We'll also leave time for a leisurely stroll around Ronda's cobblestone streets lined with the typical whitewashed houses of the region. Today we're going to discover the city of Cordoba, which sits in beautiful position on a bend of the Guadalquivir River. It's a fascinating place and the highlight of your visit is sure to be the dazzling Mezquita, or Great Mosque, which dates back to the 8th century. Inside what is said to be one of the world's greatest Islamic buildings, you'll see more than 850 granite, jasper and marble pillars. You'll also spend time exploring the labyrinth of winding streets and flower-filled courtyards in the Jewish quarter, before we head back to Antequera. Choose to spend the day in Antequera exploring further or relaxing at leisure, or perhaps join our final optional excursion. This time we're off to Malaga, a cosmopolitan city on the Costa del Sol, famous as the birthplace of the celebrated artist Pablo Picasso. The city is set on a beautiful bay of the Mediterranean and we'll take in wonderful views from the two Moorish citadels, the Alcazaba and Gibralfaro. Your holiday comes to an end today as you transfer to the airport in Malaga for your flight back to the UK.